Dr. Charu Sharma, Gorgeous looks, head of cosmetic surgery clinic, is a rendezvous of science & art, where surgical precision is combined with deft artistic touches, where evidence-based scientific decisions are made with a kind and human heart and where gifted surgical hands carve out curvaceous figures. 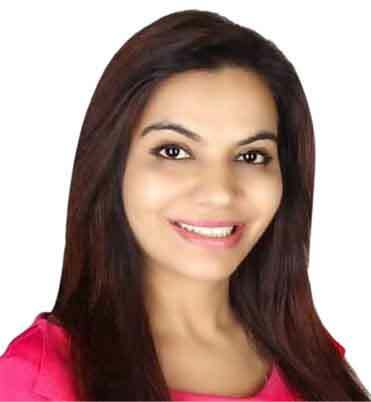 Dr. Charu Sharma, who heads the clinic, is a leading lady cosmetic surgeon based in New Delhi. Having been awarded a gold medal in plastic surgery for her academic brilliance, she has further developed her surgical skills at various national and international forums. She is presently attached to various renowned hospitals in New Delhi. Her expertise has been utilized by many in the society. Acid burn patients, Girls with white patches and obese ladies with curve less bodies have found an end to hither to long drawn out wait for marriage. Males with receding hair line (and a faster receding self-respect) have rejoined the main stream of a joyous youthful life. Girls with a flat breast or ladies with sagged bosoms, have regained the shape of their dream with a secret smile of metamorphosis. The society has recognized her services and she has been felicitated with various awards such as Rajdhani Ratna, Mana Seva Samman etc. She has also appeared in various TV , Print Media , Social Media programmes to educate the masses about the realms of aesthetic surgery. The clinic with its kind & considerate staff vows to keep the cherished secrecy as per the wishes of its patients. Attended APSICON 2015 28th – 31st Dec at Mumbai. Delivered guest lecture on ‘’ science of breast implant’’ conference at LEIDEN, AMSTERDAM 2012 September. Attended international course of plastic & Aesthetic surgery from Jan, 2012. Lecture at Indian Society of Hair Restoration Surgeons, Ahmadabad, 2009.
International Society of Aesthetic Surgery, Hands-on Workshop & Convention, Sydney, Australia, 2008.
International Conference of Aesthetic surgeons, AESURG, 2005.
International Workshop & Training Session, by Dr. Tan, Singapore, 2005. Delivered Guest Lecture on Hair Transplantation at Conference of Society of Dermatologists, 2005. Convention of International Society of Aesthetic & Plastic Surgeons, 2004. Assisted Dr. Hart (England). In surgeries at Workshop on Cleft lip by Dr. Hart (England), 2003. National symposium on Endoscopic face lift by Dr.Edger Biemer (Germany), 2002. Workshop on Chemical peel 2002, Lucknow. National Symposium on Hair Transplantation 2001, Lucknow. Annual Conference of APSICON, 2001, 2002, 2003, 2004, 2005, 2006. 58th Annual Conference of association of Surgeons of India, 1998, Ahmadabad. National Symposium on Hand and Microsurgery, 1997, Varanasi. * * Medical Disclaimer. The information on this site is not intended or implied to be a substitute for professional medical advice, diagnosis or treatment. All content, including text, graphics, images,Videos and information, contained on or available through this web site is for general information purposes only and actual results may vary from person to person. Copyright © Gorzeous Looks Cosmetic / Plastic Surgery & Hair Transplant Centre 2018.